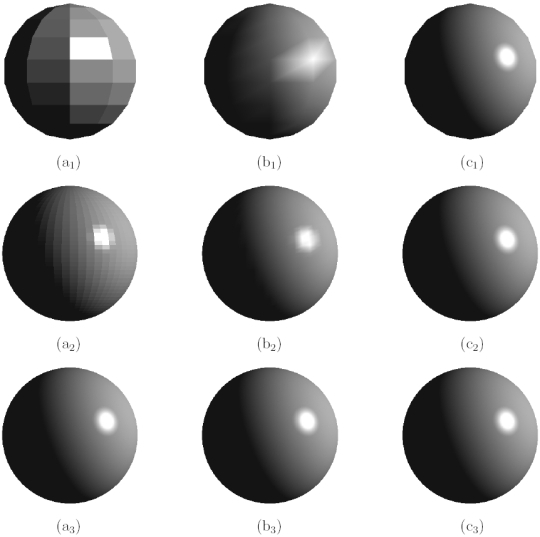 Flat shading is the simplest shading model. Each rendered polygon has a single normal vector; shading for the entire polygon is constant across the surface of the polygon. With a small polygon count, this gives curved surfaces a faceted look. 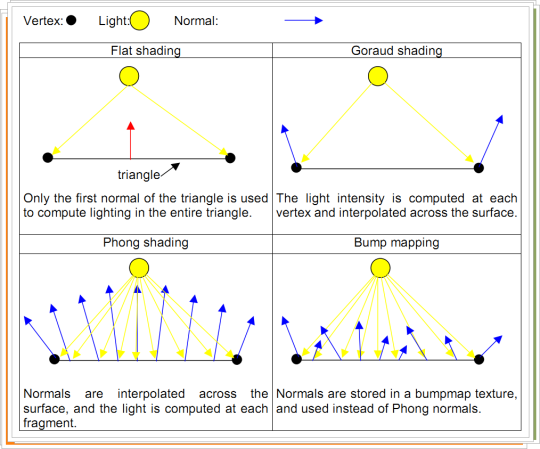 Phong shading is the most sophisticated of the three methods you list. Each rendered polygon has one normal vector per vertex; shading is performed by interpolating the vectors across the surface and computing the color for each point of interest. Interpolating the normal vectors gives a reasonable approximation to a smoothly-curved surface while using a limited number of polygons. Gourard shading is in between the two: like Phong shading, each polygon has one normal vector per vertex, but instead of interpolating the vectors, the color of each vertex is computed and then interpolated across the surface of the polygon. On modern hardware, you should either use flat shading (if speed is everything) or Phong shading (if quality is important). Or you can use a programmable-pipeline shader and avoid the whole question.